Ideal for computer networking (10/100/1000Base-T), data, voice, or security system installation. Wiring your home, office, or even an entire factory. 350MHz rated. CMR rated Wooden spool 1000 ft.
Used for networking, data transfer, and phone lines primarily. CAT5E, FTP (Shielded Twisted Pair) Plenum, Solid, 350Mhz, 1000 ft Spool Color Option: Blue, Gray, White. Cat 5E Bulk Wires, offered by SF Cable supports 10/100/1000 mbps ethernet. Our collection includes UTP cable, Bulk Ethernet network cable, Shielded cable, Solid Cable and a lot more to choose from. 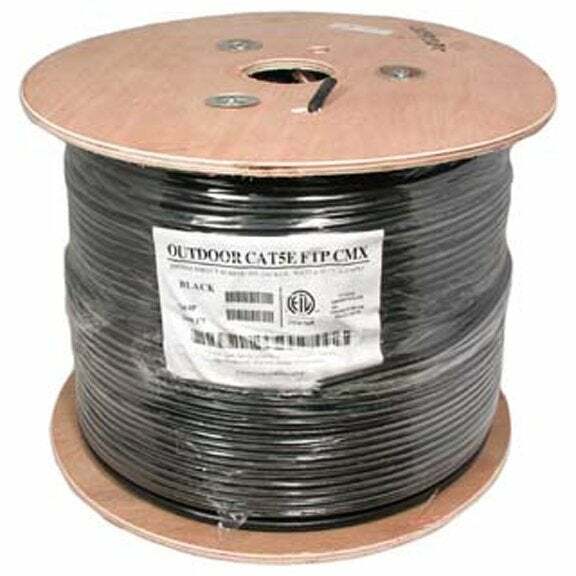 Get Cat 5E Bulk Wires at competitive prices. Bulk wires provided by us are RoHS compliant and environment friendly and are of high quality. We provide lifetime technical support and extended warranty on these wires. We ensure fast shipping on all our orders, most orders being processed and shipping on the same day. We ensure customer satisfaction every time with world class products and after sales service.